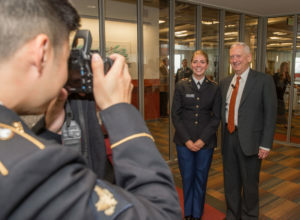 As a Marine Corps combat veteran in charge of U.S. Central Command 2010-13, Mattis oversaw military operations in areas that included the hot spots of Syria, Afghanistan and Iraq. In his public address, sponsored by WSU’s Office of the Provost, he said the White House must take a “strategic, historically sound approach,” in supporting peace and prosperity in the Middle East. “The strategy-free stance is not working,” he told the crowd, and the solution is about more than fighting battles. 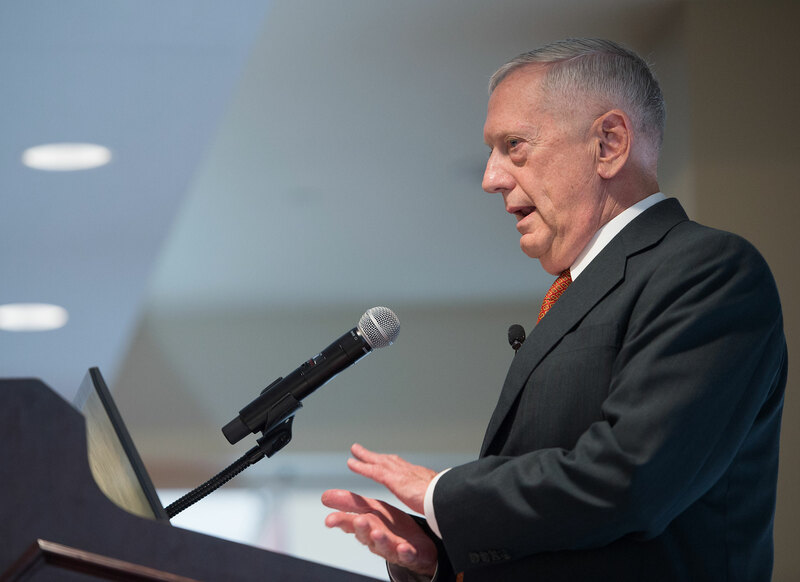 The next president should focus on keeping America safe by implementing a strategy that includes strengthening and broadening our foreign allies, said Mattis. He cited the crucial role of the United Nations and NATO countries in upholding international norms to oppose extremists who support terrorism. Building allies will demonstrate a mission of common interest to terrorists and also project strength – and a degree of humility – he said. “We need those outside relationships. We need to stay engaged in the world and resist isolationism,” he said. A native of the Pacific Northwest, Mattis was born in Pullman and graduated from Central Washington State University in 1972. Nicknamed the “warrior monk” for his legendary part- soldier and part-scholar ethos, he recently declined bids to run as a third party presidential candidate.